According to SymbianTweet, tipped by blackidea, there’s a software update for S60 5th Edition devices (N97, N97 Mini, 5800, 5230, C5-03, X6 and C6.) 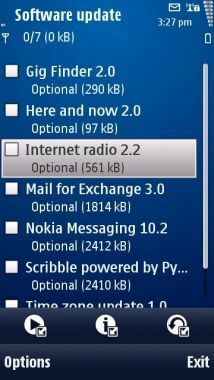 – Internet Radio 2.2. You get this via Software update app. « Video: Nokia Ad Simulated Screen Fail Fixed.